Why Does My iPhone Say No SIM Card? Here's The Real Fix! You are at:Home»iPhone»iOS»Why Does My iPhone Say No SIM Card? Here’s The Real Fix! The sun is shining, the birds are chirping, and all’s well with the world, until you notice that “No SIM” has replaced your mobile carrier’s name in the upper left-hand corner of your iPhone’s display. You didn’t take the SIM card out of your iPhone, and now you can’t make phone calls, send or receive text messages, or use mobile data. If you’re wondering, “Why does my iPhone say no SIM card?”, or if you have no idea what a SIM card is, you’ve come to the right place. This issue is generally pretty easy to diagnose, and I’ll walk you through the process step-by-step so you can fix the “No SIM” error for good. If you’ve never heard of a SIM card, you’re not alone: Ideally, you should never have to worry about it. When you experience issues with your SIM card, having a little knowledge about what your iPhone’s SIM card does will help you to understand the process of diagnosing and fixing the “No SIM” error. If you ever want to stump your techie friends with mobile phone trivia, SIM stands for “Subscriber Identity Module”. Your iPhone’s SIM card stores the tiny bits of data that distinguish you from all the other iPhone users over the cellular network, and contains the authorization keys that allow your iPhone to access the voice, text, and data services that you pay for on your cell phone bill. The SIM card is the part of your iPhone that stores your phone number and allows you to access the cellular network. It’s important to note that the role of SIM cards has changed over the years, and many older phones used to use SIM cards to store the list of contacts. The iPhone is different because it stores your contacts on iCloud, your email server, or in your iPhone’s internal memory, but never on your SIM card. The other notable evolution in SIM cards came with the introduction of 4G LTE. Before the iPhone 5, carriers like Verizon and Sprint who use CDMA technology used the iPhone itself to link a person’s phone number to the cellular data network, not a separate SIM card that would be placed inside. Nowadays, all networks use SIM cards to store their subscribers’ phone numbers. Why Do We Need SIM Cards Anyway? What’s The Advantage? 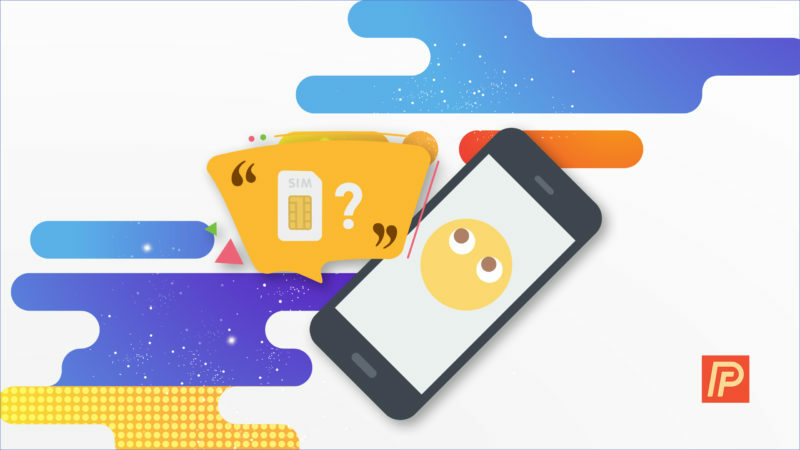 SIM cards make it easy for you to transfer your phone number from one phone to another, and they tend to be very resilient. I’ve taken SIM cards out of many iPhones that had been fried by water damage, put the SIM card in the replacement iPhone, and activated the new iPhone without a problem. SIM cards also make it easy for you to change carriers when you travel, provided your iPhone is “unlocked”. If you travel to Europe, for example, you can avoid exorbitant international roaming charges by briefly signing up with a local carrier (commonplace in Europe) and putting their SIM card in your iPhone. Put your original SIM card back in your iPhone when you get back to the states, and you’re good to go. Where Is The SIM Card On My iPhone And How Can I Remove It? All iPhones use a tiny tray called a SIM tray to hold your SIM card securely in place. To access your SIM card, the first step is to eject the SIM tray by inserting a paper clip into the tiny hole in the SIM tray on the outside of your iPhone. Apple has a great page that shows the exact location of the SIM tray on every iPhone model, and it will be easiest for you to take a quick look on their website to find its location and then come right back here. We’re about to diagnose and fix the “No SIM” error for good. 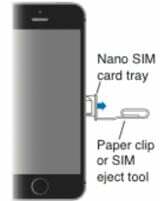 If you don’t feel comfortable sticking a paperclip inside of your iPhone, you can pick up a handy SIM card adapter kit from Amazon.com that includes a professional sim card ejector tool and an adapter that allows you to use the nano SIM card from an iPhone 5 or 6 in older model iPhones or other cell phones. If your iPhone is ever damaged, you can use this kit to pop out the SIM card and stick it in your old iPhone (or other cell phone that takes a SIM card), and be making phone calls with your phone number right away. How Do I Fix The iPhone “No SIM” Error? Apple has created a support page that addresses this issue, but I don’t necessarily agree with the order of their troubleshooting steps and there isn’t any explanation of the rationale behind their suggestions. If you’ve already read their article or others and you’re still experiencing the “No SIM” issue with your iPhone, I hope this article provides you with a solid explanation of the problem and the knowledge you need to fix it. This may seem obvious, but it’s helpful to restate the problem here: Your iPhone says “No SIM” because it’s no longer detecting the SIM card that’s inserted in the SIM tray, even though it actually is there. Like many issues on the iPhone, the “No SIM” error can be either a hardware or a software problem. On the next page, we’ll start by addressing the possible hardware issues because they’re usually easy to see with a visual inspection. If that doesn’t fix it, I’ll walk you through the software troubleshooting steps that will help you diagnose and solve your problem. Next Article Why Is My iPhone Asking For The Wrong Apple ID? Here’s The Fix!